Submit?! Arrrgh. The first book someone gave me on this topic was called “Me, Obey Him?” and I threw it across the room and resolved not to read it… It sat there for a good six months, mocking me. Sometimes we women become overly dramatic about the idea of having to submit to our husbands! Did you catch that? It’s not all about me! It’s about me working for what is best for my spouse and kids. It’s about leaning IN toward the middle of the family circle to help others, rather than leaning OUT and away from engagement and responsibility. Now that can be a scary question! However, it is a question we need to get in the habit of asking – every single day. What do you need from me? How can I help? That is the question Jesus asked. It was time-consuming, energy-consuming, unpredicatable, frightening. It was the ultimate question that cost Him his life. It was an unselfish question. Marriage and parenting are about learning to be unselfish. 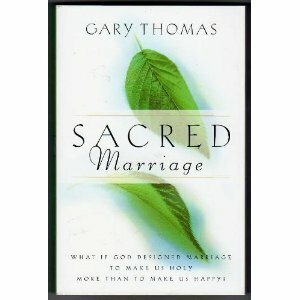 SACRED MARRIAGE by Gary Thomas, (Zondervan, 2000). Gary Thomas asks a shocking question: “What if God designed marriage to make us holy more than to make us happy?” Thomas’ argument is that marriage is one of God’s primary vehicles for character change. “If you want to become more like Jesus, I can’t imagine any better thing to do than get married. Being married forces you to face some character issues you’d never have to face otherwise.” After all, marriage is a temporary institution (’til death do us part), designed to last while we are on this earth (no marriage in heaven), and destined to help us develop an eternal relationship with God. Thomas has chapters on how marriage teaches us to love, to respect others, to persevere, to forgive, to serve, as well as how it exposes our sin, and teaches us more about God. If we truly believe that we are called to holiness and not happiness, then maybe we ought to reshape our thoughts on marriage! I’m going to work on being unselfish this week. 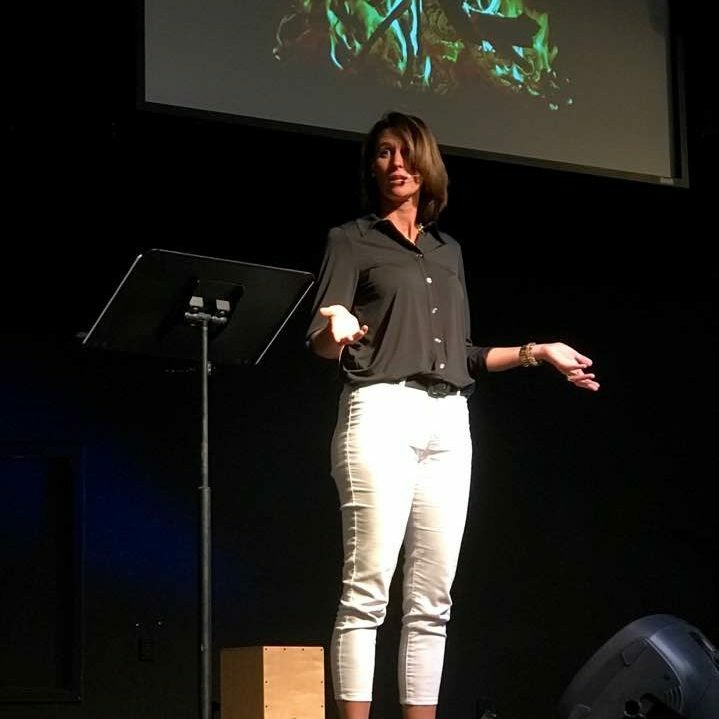 I am going to ask, “What can I do to help?” and not flinch when the answer comes back. Will you join me? Love this post. That’s one of my all-time favorite marriage books, and you’ve really written beautifully about mutual submission. It’s nothing to be afraid of, and the benefits are enormous. Now–to actually do it!